This page shows how this server has been running 'off-grid' on RE power, when known. 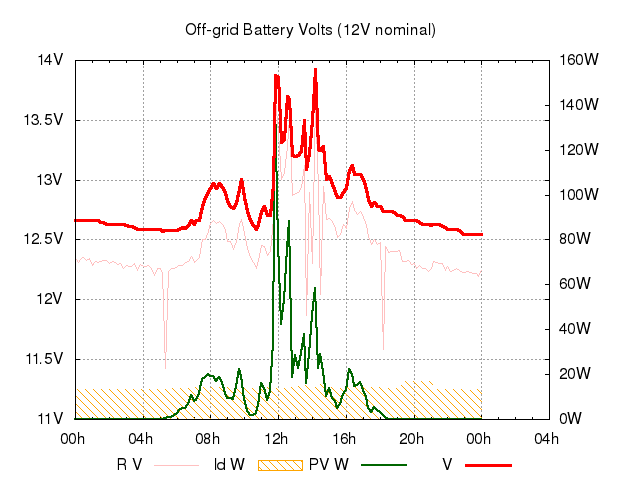 Whole-system state-of-charge: OK (not VHIGH since Fri Apr 19 16:40:07 UTC 2019, not FULL since Fri Apr 19 16:40:07 UTC 2019), ~76% effective capacity overnight. 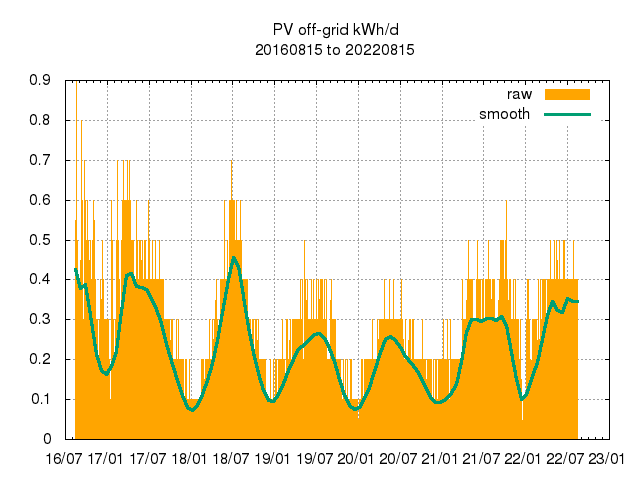 Forecast PV generation tomorrow: good. Recent battery temperature vs outside. This page was automatically generated on 20190420 UTC (Sat Apr 20 03:02:19 UTC 2019).